Classic grunge rock band Stone Temple Pilots are parting ways with their vocalist, Chester Bennington. Stone Temple Pilots needs no introduction. The band, one of the biggest original grunge bands who defined the genre in the late 1980’s and 1990’s, ran into issues with their former vocalist, Scott Weiland, from 2011 to 2013 over vocal issues. Apparently the band felt Weiland no longer had the vocal capacity to perform some of their older songs, and Weiland defied the band by going on a solo tour playing STP songs. Weiland was subsequently fired from the band. 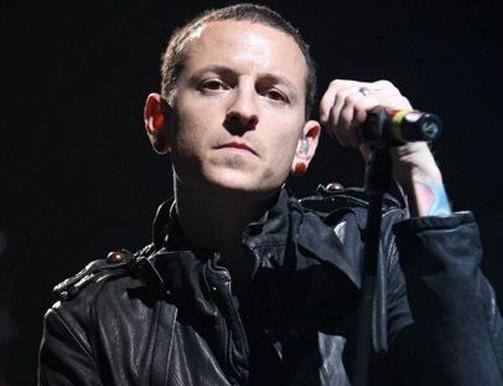 Soon enough Linkin Park vocalist Chester Bennington stepped into the lead vocalist shoes, as the band did shows under the name “Stone Temple Pilots with Chester Bennington”. The name soon changed back to just “Stone Temple Pilots” as Chester was accepted as the band’s new permanent vocalist. Stone Temple Pilots released one EP with Chester titled High Rise in 2013. Together they had two charting singles, namely Out of Time and Black Heart. Now, so soon after their formation, the announcement was made that Chester Bennington will part ways with the band, all in good faith. The last few years have been an amazing experience. I got to create and perform with one of the greatest rock bands of our generation, that had so much influence on me growing up. With the amount of time STP deserves, in addition to being in Linkin Park, and with the needs of my family, one of them always seems to fall short. Going in to this, the four of us… Robert, Eric, Dean and myself knew what we were up against. We decided in due fairness to friends, fans and the legacy of STP that it needs more than time was allowing me. And in all fairness to my bandmates in Linkin Park, as well as to myself and to my family, I’m going to focus solely on Linkin Park so I can contribute 100%. It’s been an amazing experience and a dream come true, and I look forward to the future of both STP and Linkin Park. What an amazing and beautiful few years we’ve all had together. It was our honor to play and see all of you recently on tour. We have thoroughly enjoyed our time together with Chester not only professionally, but even more so on a personal level. Sadly, it was evident that scheduling and time was working against us. Within this, there is a new beginning. There is an abundance of new music written, some of which is already recorded. We have had the fortune of playing with some very talented singers over the last few months and will continue to do so until each of us feels and knows when the right person arrives. Most fans would sympathize. One man can only devote some much time to so many things. This is an exciting time for Stone Temple Pilots as well. Before the official statement was made today by the band and Chester, former vocalist Scott Weiland revealed to the public that Chester will imminently be leaving the band. Does this mean Weiland is being considered for a return to Stone Temple Pilots? Only time will tell.